Welcome to the homepage of Wenli Looi. 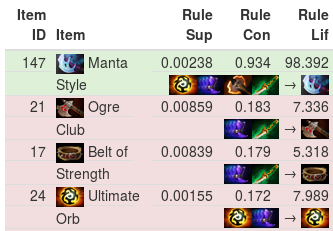 Dota 2 Item Recommender System is a system that can predict the next item a player will buy in the video game Dota 2 with high accuracy. It uses a rule-based and logistic regression classifier. Common purchasing strategies are also revealed through clustering. 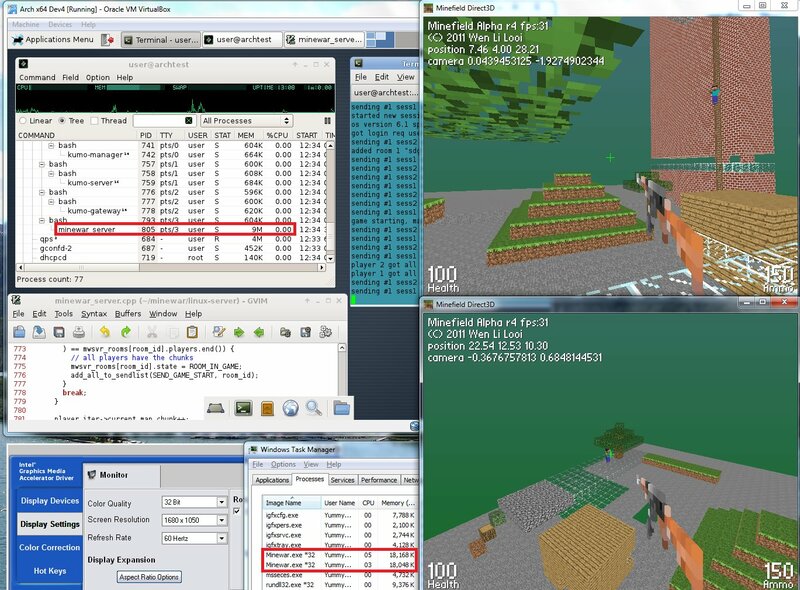 See paper in IEEE Transactions on Games. Minefield is a multiplayer first-person shooter game inspired by Minecraft. 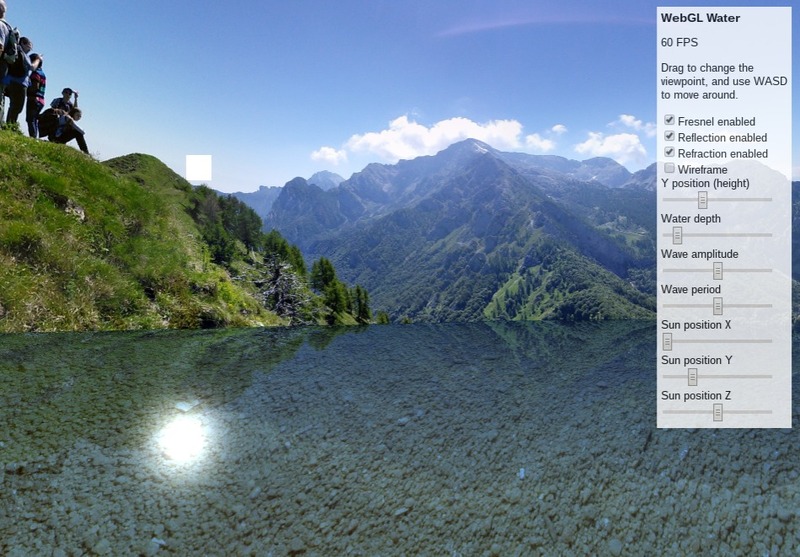 It written in C++ using Direct3D 9 rendering and a custom encrypted UDP-based protocol. The client runs on Windows only but the server runs on Linux only. 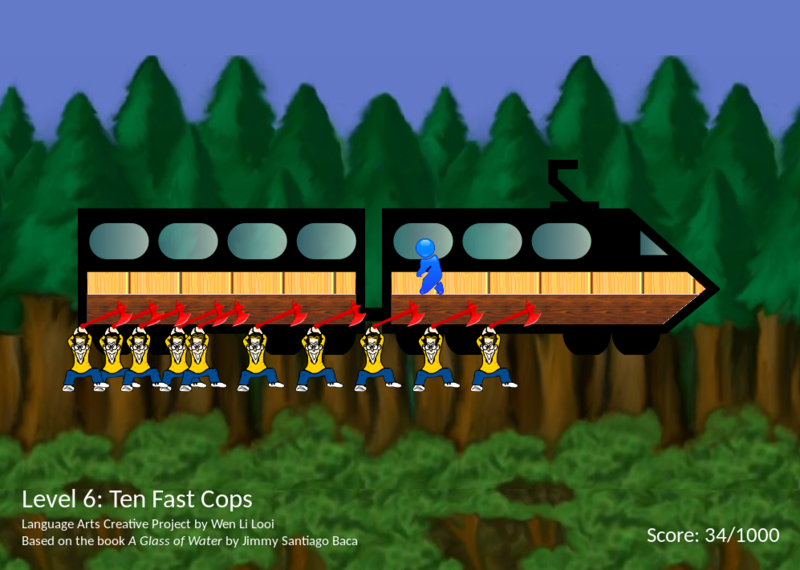 TrainWhacker is a really exciting HTML5-based game. Guide Nopal by avoiding enemies as she fulfills her dream of migrating from Mexico to the United States! 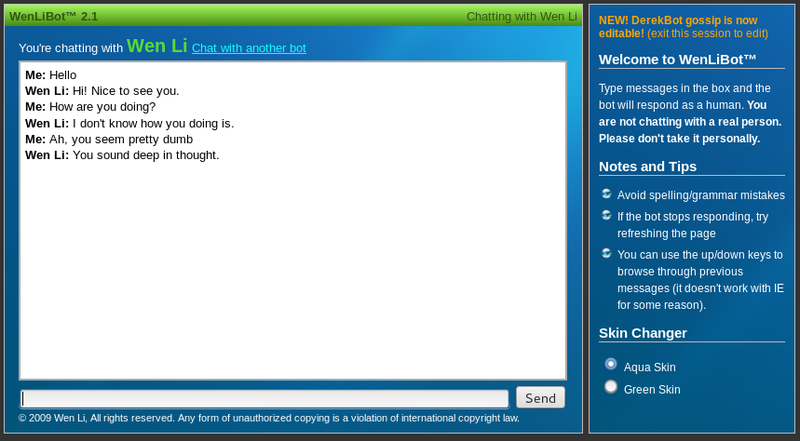 WenLiBot™ 2.1 is a new intelligent chatterbot where you can talk with a variety of virtual programmed people. It utilizes PHP/MySQL and basic natural language processing techniques.